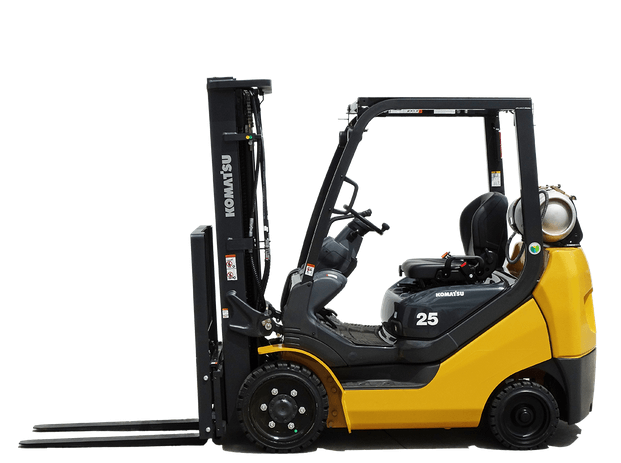 Planning to become a licensed lift truck driver in Ontario? It’s just not as simple as taking the course, passing, and getting your forklift licence. Ongoing monitoring, forklift inspections, maintenance and reviewing your safety procedures is more important then just receiving your certificate. To help better understand how to obtain your forklift licence and the importance of training, we’ve put together this guide. Contact us to obtain your forklift licence today. The most important general duty of every employer is to “take every precaution reasonable in the circumstances for the protection of a worker“ and assign specific responsibilities for equipment maintenance, training, and supervision. Rules and regulations must be followed in order to obtain a forklift licence in Ontario. Employers and their forklift drivers are governed by federal and provincial safety standards. Whether you decide on a career as a forklift driver or you require it for your present job, the first step to getting your licence is doing your research. You need to gather and know all the proper information from finding the proper training center, learning the rules, taking and passing the course, and the ongoing workplace safety procedures. You must remember that a forklift licence does not give you a job but deems you as a “competent “ forklift driver. It also gives you proof that you have received the Ontario Ministry of Labour (MOL) and Canadian Standards Association (CSA) government standard training. Each workplace is unique; they all have different workplace equipment and safety procedures so getting the proper training is important. Working as a forklift operator means undergoing training to become a certified competent operator before hopping on any forklift. Rules and regulations must be followed in order to obtain a forklift licence in Ontario. To help you understand the complete legal requirements for forklift operators, OSHA Regulation 851 provides a guideline of the legal requirements to make sure that you implement a safe workplace. These guidelines will help the operator to have knowledge, training, experience and to understand the how the forklift works and its performance requirements. It would be impossible to tell you everything you need to know about forklift driving without explaining why training is necessary. To start with thousand of forklifts are used in the workplace; they are specifically designed to carry large loads in confined spaces. Their size is quite a bit different from most other vehicles along with their shape and weight distribution. Add a heavy load to this already unique design and you will have a vehicle that is quite challenging to operate safely. If the driver is not properly trained then Not only is he/she at risk of getting injured but also the pedestrians and visitors in the area the forklift occupies. Forklift operators must have a basic operator training qualification, but many overlook the other stage of training that ensures their safety such as familiarizing themselves with the equipment and any attachments which they will be expected to use. Don’t take if for granted that every driver knows your working environment and hazards around your warehouse; These may need to be addresses, because in a split second it could be the difference between success and catastrophe. The provision of such information, instruction, training and supervision will reduce accidents like a recent incident involving a forklift operator unloading pallets. He reversed and bounced off the loading dock. He fell off the forklift and broke his ankle. It was revealed that the worker had gone through basic training, but had received no in-house training in the safe use of his truck in that particular workplace. The proper forklift training from a expert trainer and your employer will reduce, or even prevent, accidents from happening on the job site. Also when efficient training is provided to the operators, they become more proficient as well as safer in performing their job. This will, in turn, help your business in improving its productivity. Forklift operators need to have a clear understanding of their forklift’s load capacity and the risks that are involved in exceeding it. Again, you must first decide what category of lift truck you drive or want to drive. This will determine what type of course you need to attend. Choosing your forklift trainer is an important step to ensuring you get the proper training. Obviously you’ll want to choose an experienced qualified forklift trainer who is committed to quality, and is patient, enthusiastic, highly skilled, and values the lives of others. No matter what the nature of your business, if forklifts are used in your daily operation, you need adequate training for you or your staff; and the trainer must comply with the present legislation. You may ask why hands-on training is better than online training? With the online training you cannot properly be evaluated because online instruction can only provide you with formal instructions with no practical experience on a forklift. Our expert practical trainer spends the additional time with trainees to get to know them better before they get aboard a forklift during the practical portion of training. Also when you are looking for career opportunities, trainees that have had formal and practical trusted training rather than an online course will have a better chance for the job. Interaction with a qualified instructor will give you the hands-on demonstrations you need to properly learn how to operate a forklift and it is more likely questions will be asked that an online course simply cannot provide. On-line courses still require you to receive in-person evaluations and skill tests. Hands-on training also includes instruction on dealing with site specific risks that would be beyond the scope of an online course. Safety and saving lives should be your number one priority so choosing hands-on training is definitely the safer route to take..
Our forklift trainer closely matches an athletic sports coach because our forklift trainer really is a coach in an industrial setting, imparting knowledge and encouraging our trainees to be the best they can be. Any forklift training class worth taking should be conducted on a pass/fail basis. You don’t want trainers going through a program where everyone passes regardless of competency. Contact us to get started with your forklift certification today! Now that you have down your research, read the rules and regulations, understood why training is important, decided which forklift classification you need, and chosen your trainer, you can begin to enroll in a forklift certificate course. Once you have enrolled, you will need to attend the classroom lectures, pass the written examination and pass the hands-on forklift evaluation. Once these are completed you will be a certified competent forklift operator. Remember that the certification expires every three years. You will need to take refresher training for its renewal. Our forklift training is a good option for you, Contact Us today to enroll for your forklift certification! Your forklift training is never over; it is an ongoing process to keep you and your workplace safe. The last thing to mention is the employers responsibility. It is to ensure adequate workplace safety by developing and implementing rules and procedures to prevent injuries. Employers must appoint a competent person as a supervisor that know the hazards associated with: the type of lift truck being used, the loads being handled, and the environment in which the truck will be operated. Supervisors must be able to identify unsafe acts and conditions and implement corrective measures. There are many potential hazards that can happen even to a certified forklift operator if there are no workplace safety procedures:a pedestrian can be struck by a forklift,a load can fall off a forklift or forklift can fall off a loading dock. These accidents can result in serious injury or a fatality. It is your responsibility as a competent certified forklift operator to identify and report faulty equipment, damages, hazards and safety concerns to your Supervisor immediately. And it is the supervisor’s responsibility to make sure that these are addressed. Forklift training is important for both the operator and the employer because without the proper training, they can become immediate dangers to themselves and other employees working in the area. Let me remind you that it is required by law that all operators be properly trained. Forklifts are fairly large machines with several moving parts and considerable power and it is imperative that both the operator and the employer take every precaution to protect the workers and make the workplace safe.